If you are considering a work-from-home opportunity, you can look at the field of medical transcription - an industry that is throwing up myriad employment avenues. According to the U.S Department of Labor, 'Employment of medical transcriptionists is projected to grow faster than the average for all occupations through 2010. Demand for medical transcription services will be spurred by a growing and aging population.' This detailed and informative guide on medical transcription jobs will throw light on various aspects of this career opportunity. Transcription is one of the feasible work- from-home opportunities that offer an avenue to work from a home-based office. Medical Transcriptionists work in hospitals, clinics and other medical facilities and most of them work from home. They are hired by the physician or a transcription company. However, home based MT's work as independent contractors by setting their own rates of pay, hour and operating procedures. Medical Transcription or Medical coding is the art of transcribing dictated recordings made by physicians and other health care professionals into documents such as operating reports, consultation notes, autopsy reports, discharge summaries, psychiatric evaluations and pathology reports. These transcribed documents later become part of a patient's medical record. The transcriber receives the dictation by tape, digital system or voice file. Then with the help of earphones, foot pedal (for start-stop control) and a word processing program the recordings are converted into documents. Apart from listening, language and computer skills, as a transcriptionist you also need to possess good knowledge of medical terms, in order to transcribe the information accurately. Several medical dictionaries and online libraries may help you in this case. They will have everything from medical definitions to medical terms, laboratory terms, surgical terms and abbreviations. You can also make use of the specialized word lists, journals available over the Internet. 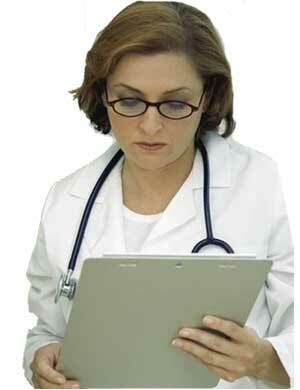 Look up medical spell checker and extensive abbreviation systems such as Instant Text or Smartype for further help. Home-based transcription jobs are in demand more so as our aging society demands increasing healthcare services. Though medical consultant, medical transcriptionist and medical writer are among those options that don't require a science degree, you cannot just jump into a career of medical transcription. As a home based MT, you may require some training in the field. You can avail these training courses from many community colleges at an affordable rate. There are also online training programs to help you in this learning process. The companies who give you contracts may initially check your transcribing skills. Medical understanding is critical for the professional medical transcriptionist. The complex terms used in medicine are unlike the language of any other profession. Medical transcription requires a practical knowledge of medical language, anatomy, physiology, disease processes, pharmacology, laboratory medicine, and the internal organization of medical reports. A medical transcriptionist is truly a medical language specialist who must be aware of standards and requirements that apply to the health record, as well as the legal significance of medical transcripts. Reports of patient care take many forms, including histories and physical examinations, progress reports, emergency room notes, consultations, operative reports, discharge summaries, clinic notes, referral letters, radiology reports, pathology reports, and an array of documentation spanning more than 60 medical specialties and subspecialties! Thus, the medical transcriptionist, or medical language specialist, must be well versed in the language of medicine. It is evident from the above that home-based medical transcription jobs not only require training but also an investment in reference materials. They also have to be committed to ongoing learning as technology and terminology changes and it is essential to keep abreast. It is essential for a home-based medical transcription incumbent to have an eye for detail. She should have strong vocabulary, listening and grammar skills. There are many training programs available for home based medical transcription jobs. When you research for a training program in medical transcription, look for one with a strong ground in English grammar, anatomy and physiology, pharmacology and lots of practice dictation tapes from doctors and other health professionals. Most of these courses are short termed and are really worth learning. Licensed software such as English dictionary, medical dictionary, medical spell checker, equipment glossary, abbreviation dictionary etc. Home based Medical Transcriptionist's are paid on the basis of speed and accuracy. Depending on your speed and the amount of work you do, you can earn as much as $15,000 to $40,000 per year. There are many online forums and message boards where you can find out work-from-home opportunities. There are also registered websites for freelance and home based projects.